Many royal women sought a religious life, especially after the deaths of their husbands or even from their early childhood. I have compiled a list, probably incomplete, of many of those female saints. Adelaide was born around 931 and she was respectively Queen of Italy as the wife of Lothair II of Italy and Holy Roman Empress as the wife of Otto I. She was regent for her grandson, Otto III, from 991 to 995, even though she had retired to a nunnery in Selz. She never actually became a nun but spent many of her days there praying. Her feast days is 16 December. Agnes was born 20 June 1211 as the daughter of Ottokar I of Bohemia and Constance of Hungary. She was placed in a monastery of Cistercian nuns by her aunt Hedwig of Andechs. She later continued her education in a priory. Agnes decided to devote her life to prayer. She founded the Hospital of St. Francis and two friaries. She became a member of the Franciscan Poor Clares in 1236 and became Abbess in Prague in 1237. She lived until 2 March 1282. Her feast day 2 March. Alexandra was born on 6 June 1872 to Grand Duke Louis IV of Hesse and By Rhine and Princess Alice of the United Kingdom. 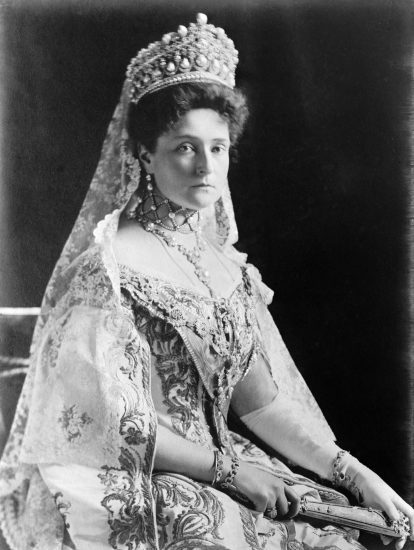 She married Nicolas II of Russia in 1894 and was destined to become Russia’s last empress. She and Nicolas had four daughters and one son, who suffered from haemophilia. During the revolution, the family was imprisoned, and Nicolas was forced to abdicate. On 17 July 1918, the whole family was brutally executed. In 2000 Alexandra was canonised as a passion bearer by the Russian Orthodox Church together with her husband and children. 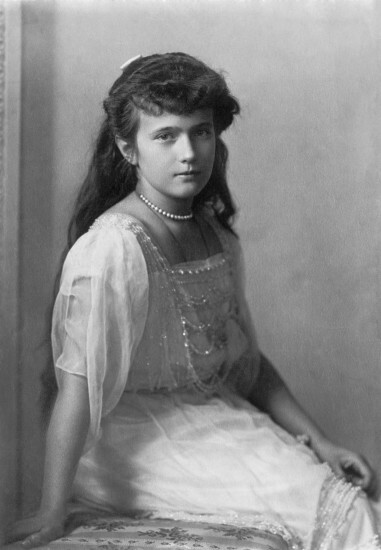 Anastasia was born 18 June 1901 as the fourth daughter of Nicolas II of Russia and Alexandra Feodorovna. 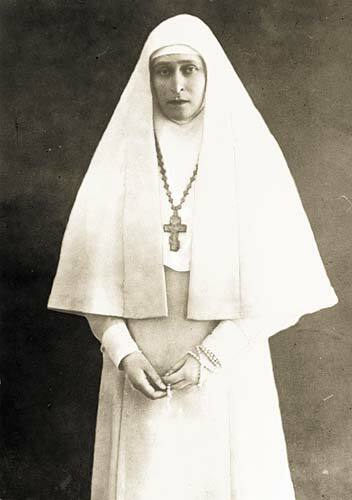 Along with her family, she was executed during the revolution on 17 July 1918, and she was canonised as a passion bearer by the Russian Orthodox church in 2000. She was born around 626 to unknown parents, possibly Anglo-Saxons. She became Queen of France as the wife of Clovis II. They had three sons, who all became King of France. Clovis died between 655 and 658 when her eldest son was still a minor. Bathild acted as regent for him. She helped abolish the trading of Christian slaves. After her son became of age, she withdrew to the Abbey of Chelles. She died there in January of 680 and was buried in the Abbey. She was canonised circa 880. 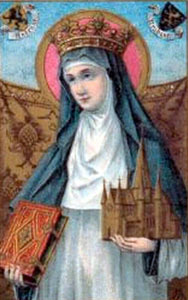 Her feast day is 26 January, though it is usually celebrated on 30 January. Begga was the daughter of Pepin of Landen and Itta von Swabia. She was married to Ansegisel, and they had three children, including a daughter Clotilda who became Queen of France. After her husband was killed Begga made a pilgrimage to Rome, and upon her command, seven churches were built. Her feast day is 17 December. 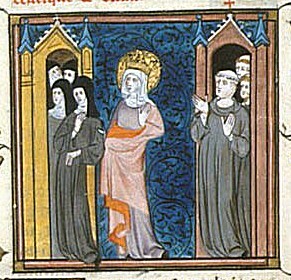 Clotilde was born in Lyon circa 475 as the daughter of Chilperic II of Burgundy and an unknown mother who was drowned when Chilperic II was assassinated. She and Clovis had five children of whom three became King of France. Clothilde was instrumental in her husband’s conversion to the Catholic faith. When Clovis died in 511, she retired to the Abbey of St. Martin at Tours. She withdrew from the power struggles of court and helped built many churches and monasteries. She died in 544 or 545 and is buried in the Abbey of St. Genevieve. Her feast day is 3 June. Cunigunde was born around 975 as the daughter of Siegfried I of Luxembourg and Hedwig of Nordgau. She married Henry II, Holy Roman Emperor in 999, though she may have originally intended to become a nun. They had no children. 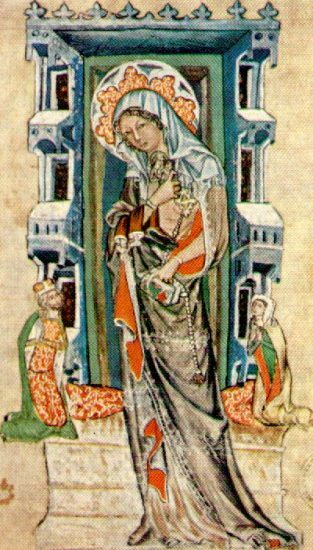 She became a widow in 1024, and she retired to Kaufungen Abbey in Germany in 1025. She gave away so much wealth that she was left relatively poor. 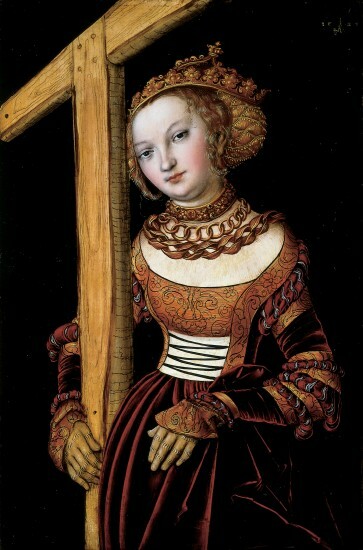 She died on 3 March 1040 and was buried in Bamberg Cathedral. She was canonised on 29 March 1200. Her feast day is 3 March. Edburga was the daughter of King Edward, the Elder of England and Eadgifu of Kent. She was educated at St. Mary’s Abbey in Winchester, and she became a nun there. She died there before she turned 40. Her remains were buried in Pershore Abbey in Worcestershire. Her feast day is 15 June. She was a daughter of King Penda of Mercia. She was a nun for most of her life. Though she was originally buried in Bicester, she was moved to Flanders by papal decree. She was the only daughter of King Centwine and Queen Engyth of Wessex. She became a Benedictine nun in 716 and eventually became its abbess. Her feast day is 12 December. She was born as Elisabeth of Hesse and by Rhine on 1 November 1864 as the daughter of Ludwig IV, Grand Duke of Hesse and Princess Alice of the United Kingdom. She was the sister of Empress Alexandra Feodorovna. She married Grand Duke Sergei Alexandrovich of Russia in 1864. They had no children and Sergei was assassinated in 1905. She sold off her collection of jewels including her own wedding ring, and she opened the Convent of Saints Martha and Mary with the profits, where she became abbess. In 1918 she was arrested and exiled. On 17 July she was thrown into an abandoned mine pit with several others. Hand grenades were thrown into the pit, but they did not manage to kill everyone. Apparently singing was heard after the initial explosion and the pit was stuffed with wood and set alight. Her remains and those of the others were uncovered on 8 October. Since the bodies were in relatively good condition, it is though they died of starvation. Elisabeth had apparently died of injuries sustained in the fall. Her remains were laid to rest in the Church of Maria Magdalene in Jerusalem. In 1981 she was canonised by the Russian Orthodox Church Outside of Russia, and in 1992 by the Moscow Patriarchate. Elizabeth was born 7 July 1207 as the daughter of King Andrew II of Hungary and Gertrude of Merania. She was married to Louis IV, Landgrave of Thuringia in 1221. They had several children including a son, Hermann, who became Landgrave of Thuringia after his father’s death in 1227. Elizabeth used her dowry to build a hospital for the sick and poor. She died at the age of 24 and was quickly canonised for her charitable work. Her feast day is 17 November. Patronage: hospitals, nurses, bakers, brides, countesses, dying children, exiles, homeless people, lace-makers, widows and the Third Order of St. Francis. 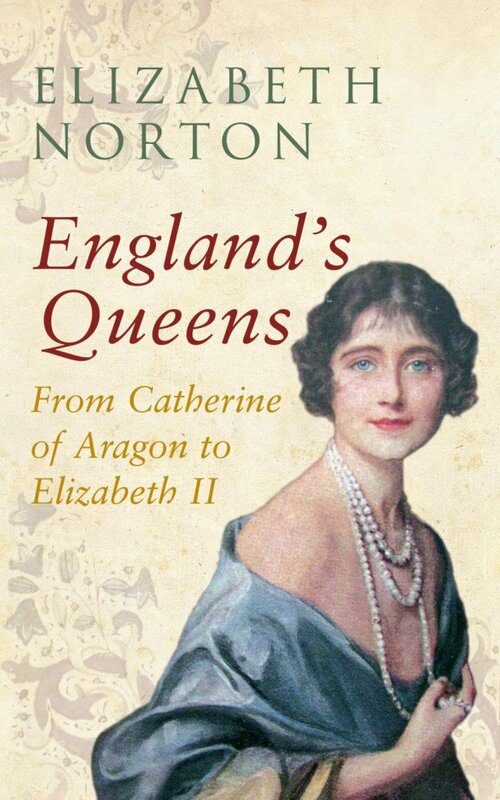 Elizabeth was born in 1271 as the daughter of Peter III of Aragon and Constance of Sicily. She married King Denis of Portugal in 1288. They had two children. Her husband died in 1325, and she retired to the monastery of the Poor Clare nuns. She joined the Third Order of St. Francis and devoted her life to the poor and sick. She died on 4 July 1336. She was buried in the Convent of Santa Clara in Coimbra but was later moved to the Monastery of Santa Clara-a-Nova. She was beatified in 1526 and canonised in 1625. 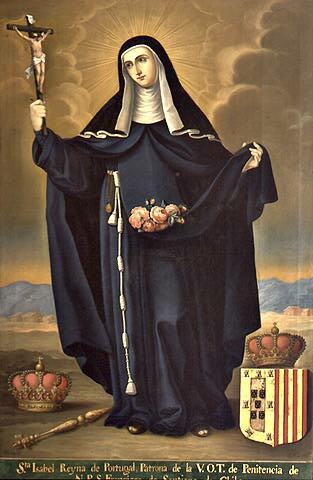 Her feast day is on 4 July. Hedwig was born circa 1174 as the daughter of Berthold IV of Andechs and Agnes of Wettin. She married Henry I, Duke of Silesia at the age of 12 and they had seven children. Her husband died in 1238, and he was buried in the Trzebnica Abbey, and Hedwig moved there as well. It was led by her daughter Gertrude. Hedwig donated all her fortune to the church. She apparently went barefoot everywhere she went, even in winter. 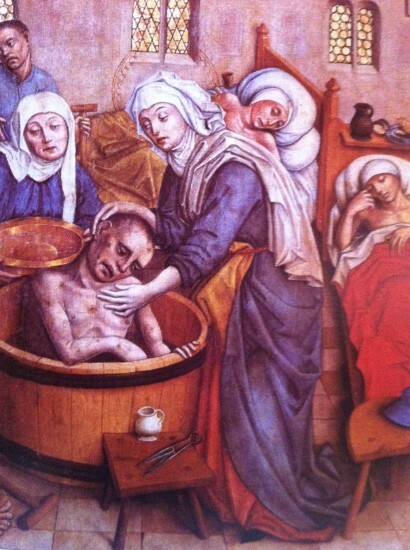 She died on 15 October 1243 and was buried with her husband. Her feast day is 16 October. Patronage: Andechs Abbey, Brandenburg, Berlin, Kraków, Poland, Silesia, its capital Wrocław, Trzebnica, the Roman Catholic Diocese of Görlitz and orphans. Helena’s birthplace is not known, but she was born around 250. She was the consort of Constantius Chloras and the mother of Constantine the Great. She is claimed to have discovered the true cross. Her feast day is 18 August (Roman Catholic Church), 21 May (Orthodox Anglican & Lutheran Churches) and 19 May (few Lutheran Churches). Patronage: archaeologists, converts, difficult marriages, divorced people, empresses and Saint Helena Island. Isabelle was born in March 1224 as the daughter of Louis VIII of France and Blanche of Castile. She refused several offers of marriage, and she founded the Poor Clare Monastery of Longchamp in 1256. She died on 23 February 1270 and apparently her body showed no signs of decay when it was exhumed nine days later. Her feast day is 26 February. Jadwiga was born either in 1373 or 1374 as the daughter of Louis I of Hungary and Elizabeth of Bosnia. She became the female King of Poland in 1384. She was married to Władysław II Jagiełło, and she died a month after giving birth to her only child, Elizabeth Bonifacia in 1399. Her feast day is 8 June. Patronage: Queens and a united Europe. Joan of France was born on April 23 1464 as the second daughter of Louis XI of France and Charlotte of Savoy. Shortly after she was born, it was agreed that she should marry her father’s second second, the Duke of Orléans who would become Louis XII of France. 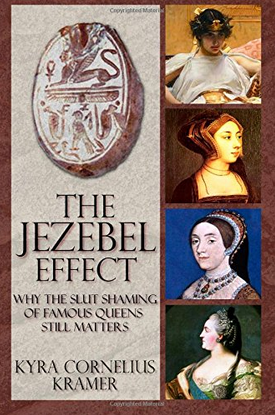 Her marriage was annulled because Louis wanted to marry Anne of Brittany. She turned to the spiritual life. She made plans for the Order of the Virgin Mary, dedicated to the Immaculate Conception of Mary. She was committed to the order on 21 November 1504. She died there on 4 February 1505 and was buried in the chapel. She was only 40 years old.In 1562 her grave was desecrated by Huguenots during the sack of Bourges. Her feast day is 4 February. 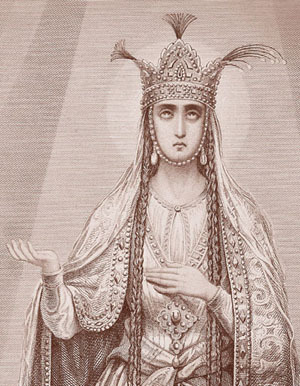 Ketevan was born circa 1560 to Prince Ashotan of Mukhrani, and she married the future David I, King of Kakheti. They had at least three children. She was taken hostage in 1614 by Abbas I of Persia for several years. She was ordered to renounce Christianity and when she refused the was tortured to death with red-hot pincers. She was canonized by the Georgian Church. Kinga was born on 5 March 1224 as the daughter of Béla IV of Hungary and Maria Laskarina. She was reluctantly married off to Boleslaw V, High Duke of Poland. The couple took a vow of chastity. She was very involved in charitable works, and when her husband died in 1279, she sold all her possessions. She joined the Poor Clares monastery in Sandec, where she would spend the rest of her life in prayer. 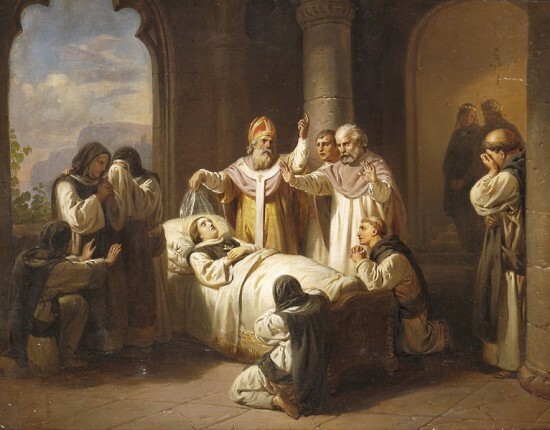 She died on 24 July 1292. Her feast day is 24 July. Ludmila was born circa 860 as the daughter of a Slavic prince Slavibor. She was married to Bořivoj I of Bohemia, who was the first Christian Duke of Bohemia. They both converted to Christianity around 871, and they were initially driven from their country by the pagans. They eventually returned and were succeeded by their son. Ludmila was for a time regent of grandson Wenceslaus, but his mother was jealous of Ludmila’s influence. She had Ludmila murdered. 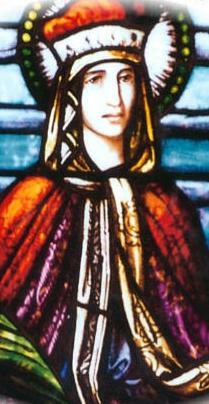 Her feast day is 16 September. Patronage: Bohemia, converts, Czech Republic, duchesses, problems with in-laws and widows. Margaret was born 27 January 1242 as the daughter of King Béla IV of Hungary and Maria Laskarina. Her younger sister was Kinga of Poland. 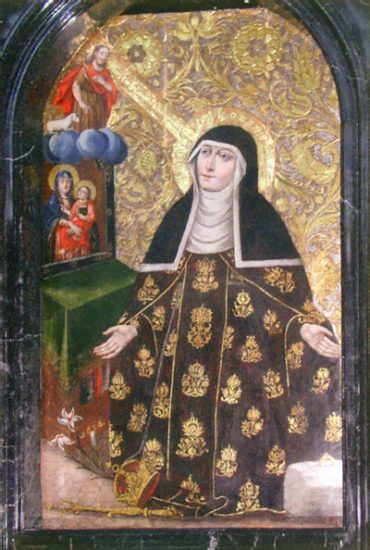 She was entrusted to the Dominican monastery at Veszprémin in 1245 before transferring to the Monastery of the Blessed Virgin on Rabbit Island near Budapest. She spent her whole life here dedicated to religion. To prevent her from being married off she received the Consecration of Virgins. She chastised herself from a young age, wore a hair shirt, an iron girdle and shoes spiked with nails. She was only 28 when she died on 18 January 1271. Her feast day is 18 January. Margaret was born circa 1045 in Hungary as the daughter of Edward the Exile and Agatha. She came to England in 1057 where her brother eventually became King. She married King Malcolm III of Scotland in 1070, and they had eight children. She instigated religious reform in Scotland. She rose at midnight every night to attend church services, and she spent much of her time in prayer. Her husband and their eldest son died in battle in 1093 and Margaret, who was probably already ill, died a little later on 16 November 1093. Her feast day is 16 November. Patronage: Dunfermline; Scotland; Fife; Shetland; The Queen’s Ferry and Anglo-Scottish relations. Maria was born on June 26 1899 as the daughter of Nicholas II of Russia and Alexandra Feodorovna. She died with the rest of her family on 18 July 1918. Matilda was born circa 895 as the daughter of Dietrich, Count in Westphalia and his wife, Reinhild. 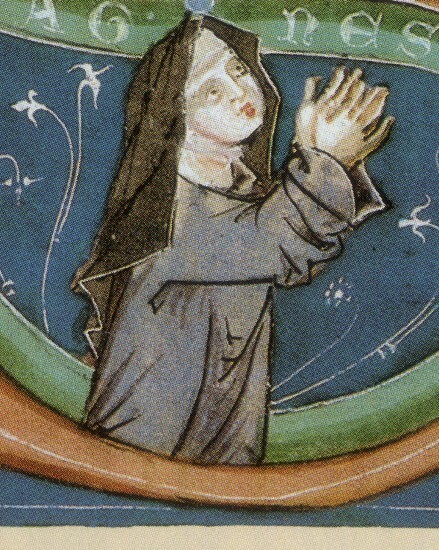 She was sent to live in Herford Abbey where her grandmother Matilda was abbess. She was married to Henry I of Germany. They had five children. Her husband died in 936 and Matilda established Quedlinburg Abbey. She died there on 14 March 968. Her feast day is 14 March. Nana was Queen consort of the Kingdom of Iberia as the second wife of Mirian III. They had at least three children. 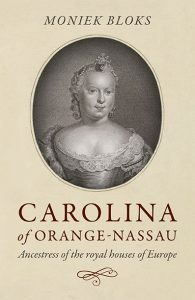 She had a large role in the conversions of the Georgians to Christianity. The Georgian Orthodox canonised her a saint. Olga was born circa 890, though much of her origins are unknown. 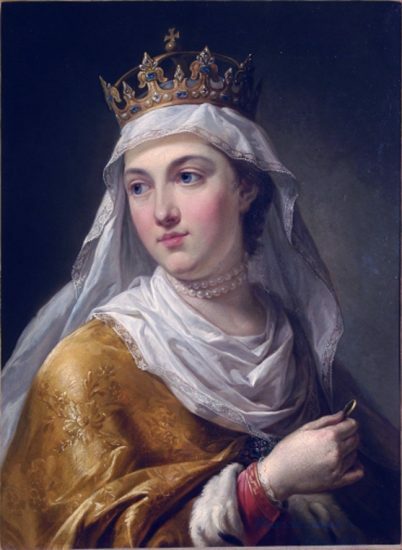 She married the future Igor of Kiev around 903. She was regent for their son Svyatoslav between 945 and 963. She converted to Christianity in either 945 or 957. She took the Christian name of Yelena. She died in 969. She was given the title ‘Equal-to-the-apostles’ bestowed upon those saints’ outstanding service in the spreading and assertion of Christianity, comparable to that of the original apostles. 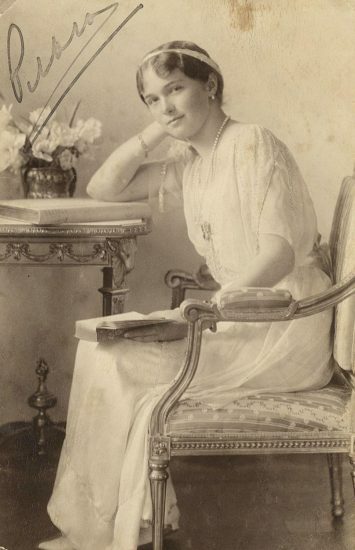 Olga was born on 15 November 1897 as the eldest daughter of Nicholas II of Russia and Alexandra Feodorovna. She died with the rest of her family on 18 July 1918. Tatiana was born on 10 June 1895 as the daughter of Nicholas II of Russia and Alexandra Feodorovna. She died with the rest of her family on 18 July 1918. She was born circa 815 and was originally from Paphlagonia. She became the wife of emperor Theophilos and acted as regent for their son Michael III between 842 and 855. She restored the veneration of icons, and for that, she is venerated as a saint in the Eastern Orthodox church. Her feast day is 11 February. I loved reading about these women. Thanks for dedicating the time to put it all together.